In this video, I’m going to explain and show you a landing page that is meant to look like a blog but it’s actually a landing page meant for generating leads and getting opt-ins. 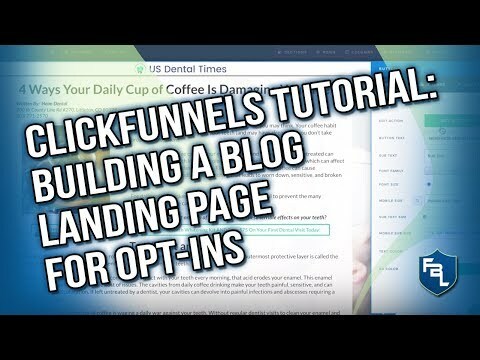 So check out this video to learn more about building a blog landing page for opt-ins. Click below if you want us to send you our FREE cheat sheet called “11 Crucial Features That Your ManyChat Messenger Bot Must Have” through FB Messenger?